Mahjong is a free online Chinese fortune teller that predicts your destiny and future. Mahjong started as a card game around 500BC. Mahjong oracle can also be used on a daily basis to know how your day is going to turn out to be. Get Your Free Mahjong Chinese Fortune Predictions! Mahjong (majong / mah jong / mah-jong / majhong / mahjongg) fortune telling is a form of card divination that can give accurate predictions. Other types of popular card fortune telling include tarot cards, playing cards, Spanish La Baraja, Chinese Gong Hee Fot Choy and more. 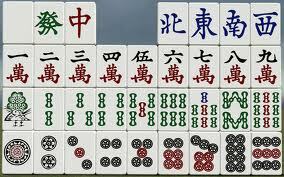 Mahjong includes 42 cards or tiles, divided into 3 suits and each with its own good fortune interpretation. Each card has its own symbolism which is reflected in a Chinese Mahjong reading. One should keep in mind that every Mahjong tile has a generic meaning. A Mahjong reader can then interpret the card for your current situation. Be it your love life, career, health or finance, Mahjong readings can guide you accurately with their wisdom. Along with the above card suits, a Mahjong card set also includes the following Honor And Bonus Suits. Mahjong divination is done the same way like tarot cards. All the cards or tiles are shuffled and arranged with the face down. Ask your question and concentrate on the Oracle. One Mahjong card is selected which represents your good or bad luck. Depending on your question you can interpret the chosen Mahjong card to get some insight into your problem. Amongst all forms of Chinese fortune telling, Mahjong is one of the most popular. Other kinds of Chinese divination for future predictions include Chien Tung, I Ching, Gong Hee Fot Choy. Mahjong predictions are very precise and exact compared to other fortune telling methods. What are you waiting for? Get your very own personalized Mahjong oracle prediction with analysis using our free online Majhong calculator. Know what the future has in store for you in seconds. You can also use this free online Mahjong fortune teller on an everyday basis.